A fit and healthy 25 year old woman with a clean medical record lies on a hospital bed. A team of doctors and nurses work diligently to keep her alive. Two nurses repeatedly try to get IV lines into the veins in her arms, which have collapsed from the severity of the blood loss. A consultant attempts to stop the bleed via bimanual compression of the uterus. There is no time for anything other than emergency protocol. Drugs are administered via needles and an oxygen mask covers her face. The sound of the emergency call bell rings loud and clear, amidst voices reeling off stats and equipment requests. For the patient, the pain is unbearable as she drifts in and out of consciousness. Once she is stabilised, the overall blood loss is calculated. She has lost half of her overall blood volume; without notice and in the space of just a couple of minutes. Her heart rate is twice what it should be and her haemoglobin level is halved. She is breathless, dizzy and in shock. The pain is still searing. The word rings out into a hollow space. A celebration amidst desolation. 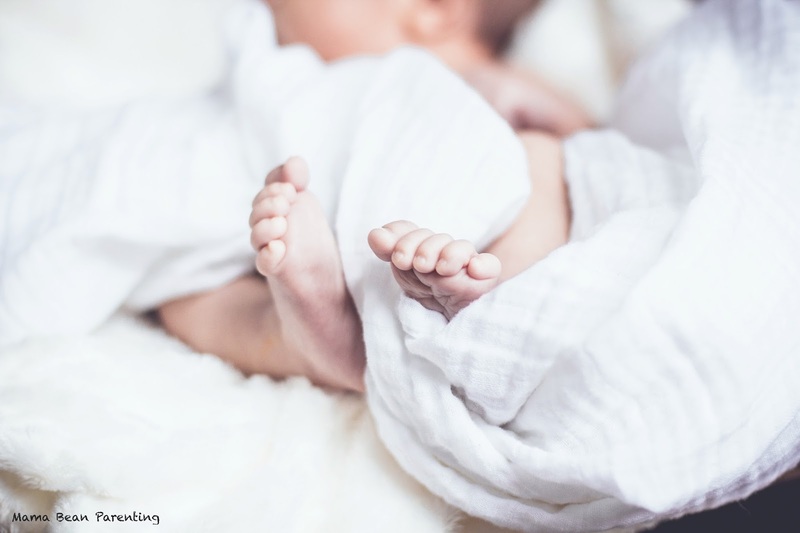 Hours later, in the dead of night and in the room marked "Recovery", the woman turns her head to look at her newborn baby, sleeping beside her in the hospital cot. She doesn't reach for her, or stroke her face. She knows she doesn't have the strength. Instead, she waits. In shock. Until the world wakes up and help comes. Surely, help must be coming. The doctors and nurses who come to check the baby are smiling. They make jokes about how she took her time, about how pudgy her cheeks are, about how much she looks like mum. The word echoes; it bounces off white hospital walls into emptiness, into nothing. I remember the walk from the ward to the car park on the day we took her home. I had to stop every few steps, clinging to the wall. I couldn't catch my breath, I felt dizzy. On the drive home, every ambulance I saw reminded me of what could have been. "They were for me," I told myself silently, "only they were too late." The emergency response time for where we live is 8 minutes; 3 minutes too late had I have followed through on my original plan to birth at home. Within two hours of arriving home, we had seen eight people. Four of whom were excited neighbours, the other four being family visitors. Again, the word rumbled, louder and louder in my head. Nobody asked. Nobody wanted to talk about it. My best friend, a doctor, visited us and told me how she had just left a ward filled with patients with stats better than mine. She was the first to make the point that these patients weren't expected to host visitors or take care of a newborn. It's a pretty good point, when you think about it. "Congratulations...but hell, that sounds horrendous." "Congratulations...but do you want to talk about it?" "Congratulations...but just so you know - I'm here to listen." If I'd birthed my daughter anywhere other than in the hospital, I wouldn't be here today. Without those doctors and nurses and a whole truckload of meds, I wouldn't be here today. In any other era in history, I wouldn't be here today. When we think of trauma, we think of war. Many times, we think of men. We think of violence, intent and targeting. Or we think of freak accidents; car crashes, landslides, falling trees. Rarely, if ever, do we think of bringing a baby into this world. Because through our society's airbrushed motherhood lens, birth trauma is conveniently overlooked. But this silent trauma is amongst us. It sits across from us at baby groups. It chats over coffee at Starbucks. It pushes excited toddlers on swings at the park. Trauma comes wrapped in the soft, young, vibrant female form. 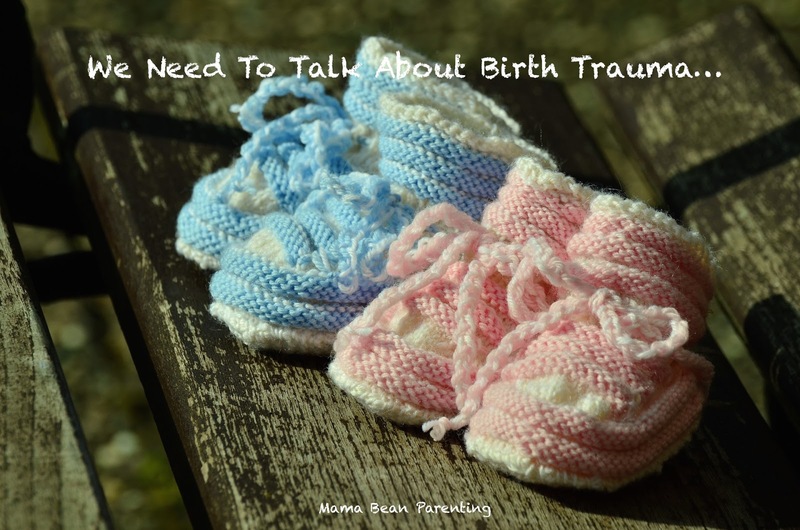 Because birth trauma is real and messy and raw...Women can be left unable to birth again, be it through physical restriction or a logical mental response to trauma - "why would we put ourselves through that again?" And our sense of self, as mothers and as women, can be fundamentally smashed by the fact that we simply cannot relate to the common and widespread female mantra: "we were built to do this." I am currently 30 weeks pregnant with my second child and last week, I was rushed to the labour ward in an ambulance with an antepartum haemorrhage. I am now home and resting, physically. Yet my brain is putting together the sorry facts, including the knowledge that I am now at an even greater risk of experiencing another postpartum haemorrhage...as if my risk score wasn't quite high enough already. Yet through this personal pathway, there is one lesson that I am learning, slowly but surely. And if you are reading this as a pregnant mother facing childbirth following trauma, this is my small and simple offering to you. "I trust in my team to take care of me and my baby." So simple. But groundbreaking for me, personally. You see, I have a tendency towards trying to control every tiny detail and this simple phrase reminds me to place my trust in those who are trained to take care of me. It reminds me that I'm not on my own. It reminds me that there are protocols in place to keep my baby and I alive. Most women will never need to use this mantra. Most pregnancies are smooth-sailing and so many births take place beautifully and naturally in birth pools lit by twinkling fairy lights. I honour and respect these important stories as significant, real and empowering. Yet for those of us who simply cannot relate to that scenario, we must find a different route towards empowerment. And my personal pathway is lined with trained professionals, open communication channels and one huge almighty helping of faith. Because every story matters, mamas. You are so brave and strong and vulnerable and generous. Thank you for sharing your beautiful and terrifying story. Love you, mama.